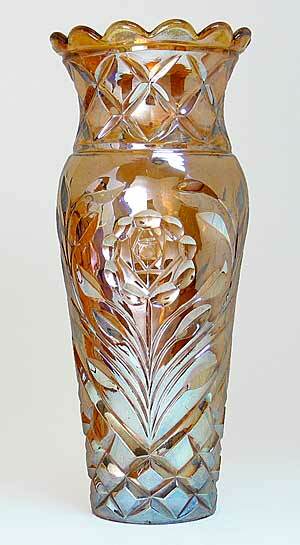 Made by the Finnish glass manufacturer, Karhula. Davann, according to Glen and Stephen Thistlewood, was named for David and Ann Brown, who first reported the pattern. This one, 8 1/2 inches tall, sold for $100 (with a small chip) in 2002. One listed as lilac sold in 2007 for $85.